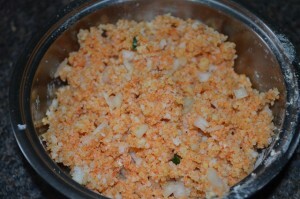 Take the leftover idlis in a bowl and crumble it coarsely with your fingers. Do it with light hands. Chop the onion, ginger and green chilly finely. 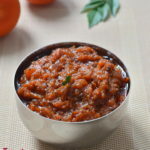 Take besan flour, salt, chilli powder, chopped onion, ginger, green chilly along with the crumbled idlis and mix well.Just mix with light hands to bring all the ingredients together. 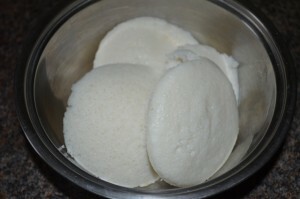 Take a small amount of the idli mixture and press lighlty to make bite size pieces. Meanwhile heat a pan with oil enough to deep fry. Drop the pieces in hot oil. Fry them in medium hot flame until golden brown. Drain in paper towels. 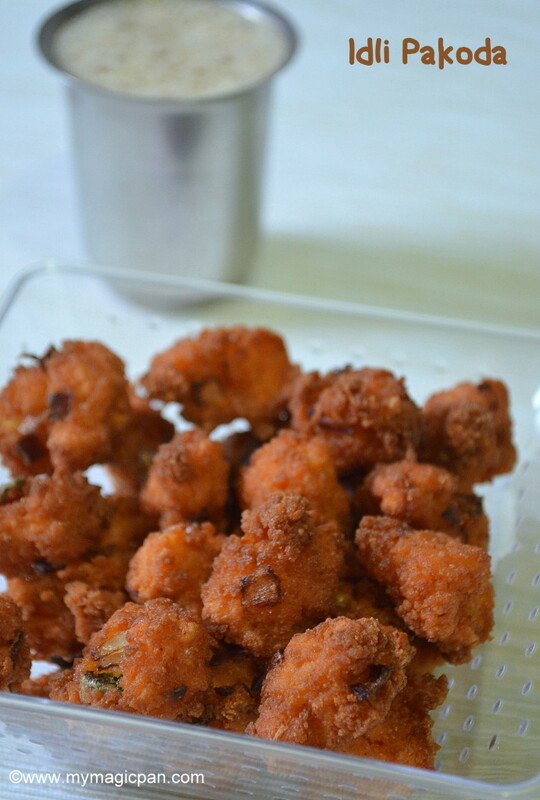 Crispy Idli Pakoda is ready!! Serve hot with a cup of coffee or tea!! 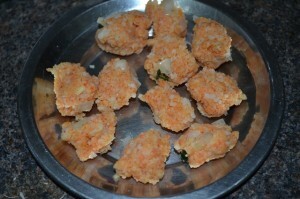 Isn’t it a clever and tasty way to finish off the left over idlis?? While mixing the ingredients and making small bite size dumplings for the idli pakoda, do it with light hands just to bring them together. Else the pakodas will be hard. 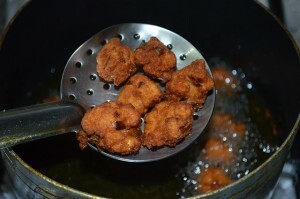 Fry the pakodas in medium flame for a few minutes until golden brown. 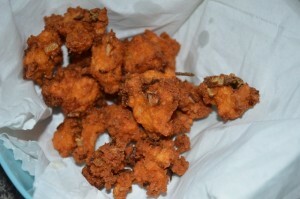 If over-fried they will become hard and difficult to bite. 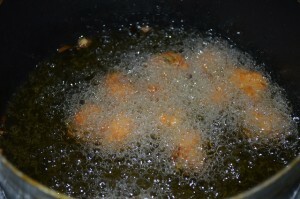 Making the pakodas the day after making idlis would yield best results as the moisture in the idlis would be less. U can skip green chillies and adjust chilli powder accordingly. 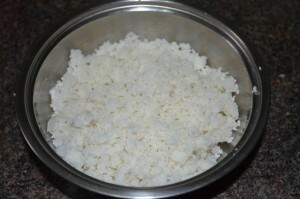 No water is required to bind the idli pakoda mixture. 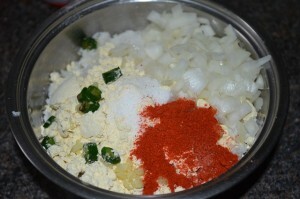 If u are not able to bring it together pour a teaspoon of hot oil and mix. These pakodas will be crisp even after they get cold. 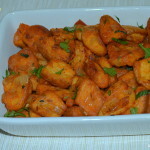 idly pakoda is wonderful idea sundari I will try it. 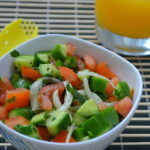 Perfect snack for kids..of course for us too;) Very nice recipe dear!! Never tried this before!!! 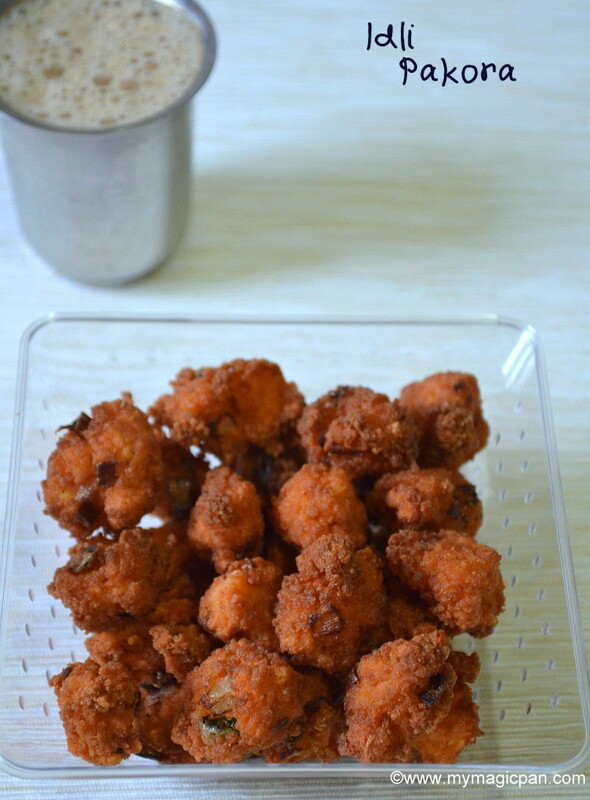 My kid would love to munch on some of these crispy Idli pakodas!!! 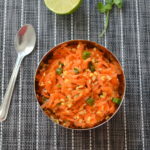 What an interesting & innovative way to use leftover idlies…..a must try recipe. 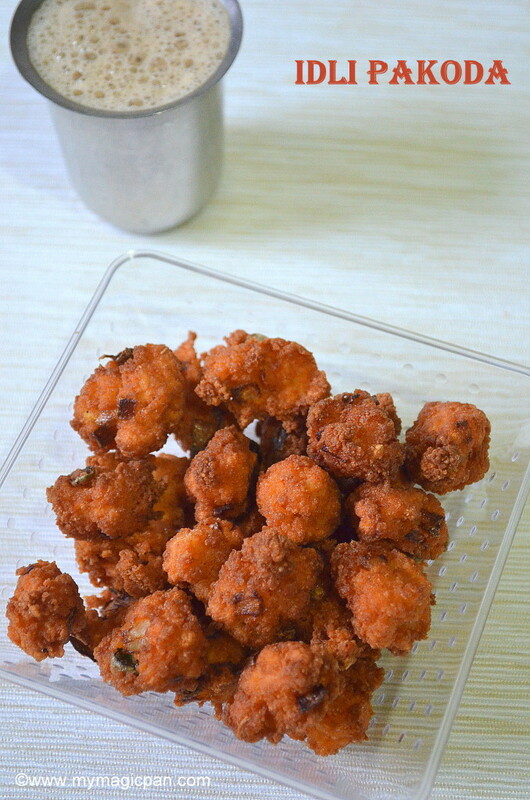 Idli pakoras are really a great snack option with left over idlis. Great idea.